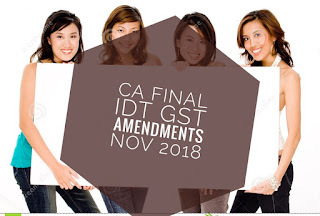 Based on expected marks in the upcoming November 2016 CA Final exam, we have provided this table of most important Chapters and Topics that you need to put more stress on during the exam . Law is one of the two theory papers in first group of CA final. Compared to Auditing, its quite hard to score marks in Law paper. Its not impossible, but not easy at the same time. May 2016 law exam is one of the hardest one in the recent times. One of the biggest scoring areas in CA Final Law is Allied Laws part. Put more emphasis on Securities Contract Act, Competition Act and FEMA. Study these topic only from Practice Manual. In Company law part, concentrate on Appointment and Remuneration of Directors, Offences and Penalties, Mismanagement. Quoting Section numbers are surely going to give you that extra marks. Examiners will be really impressed if most of your answers are supported by a Section Number. I personally have quoted section numbers on most questions and successfully scored 82 Marks in CA Final Law paper. When you write a section number, even if there are few mistakes in the answer you have written, you can still get good marks. Make a suitable Study Plan and allocate sufficient time for revision. ICAI Practice Manual is obviously the best book for CA Final law paper. You can also refer books of Munish Bhandari and Padhuka.